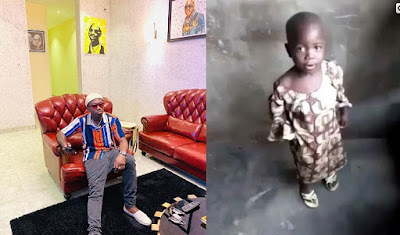 Home amebo CELEBRITY Entertainment news Gist gossip kapaichumarimarichopaco Ninu Aye Zlatan Ibile Zlatan Ibile Wants To Gift A Little Girl 1.5 Million For Singing His Song "Ninu Aye"
Zlatan Ibile Wants To Gift A Little Girl 1.5 Million For Singing His Song "Ninu Aye"
Popular Zanku Crooner, Zlatan Ibile has decided to gift a little girl 1.5million for singing his song "Ninu Aye" and pronouncing "kapaichumarimarichopaco". Gistvic Reports. Zlatan started contributing the money together with his fans right after posting the video of the little girl 24hours ago. Thanks to those who contributed the money for her !!"